Anna Freud, youngest daughter of Sigmund Freud and Martha Bernays, was born in Vienna, on this date in 1895. She had difficulties getting along with her siblings, specifically with her sister Sophie Freud who was judged to be the more attractive child. They both competed for the affections of their father who once spoke of Anna’s “age-old jealousy of Sophie.” She also had developmental problems growing up. Biographers have indicated that she suffered from depression and had eating disorders. She was repeatedly sent to health farms for rest, and also to gain weight. Apparently, Anna had a reputation for mischief. 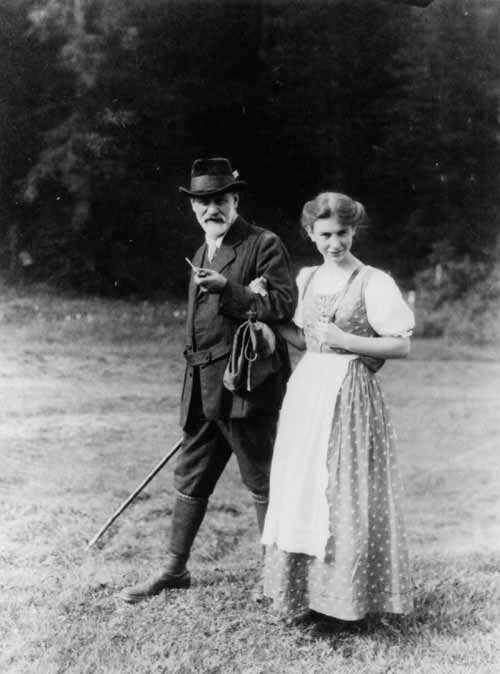 Freud wrote to his friend Wilhelm Fliess in 1899: “Anna has become downright beautiful through naughtiness.” Freud is said to refer to her in his diaries more than others in the family. Later, Anna Freud said that she didn’t learn much in school; instead she learned from her father and his guests at home. This was how she picked up Hebrew, German, English, French and Italian. At the age of 15, she started reading her father’s work and discovered a dream she had had at the age of nineteen months, cited in The Interpretation of Dreams. A visit to Britain in the autumn of 1914, which her father’s colleague, Ernest Jones, chaperoned, became of concern to Freud when he learned of the latter’s romantic intentions. His advice to Jones, in a letter of 22 July 1914, was that his daughter “… does not claim to be treated as a woman, being still far away from sexual longings and rather refusing man. There is an outspoken understanding between me and her that she should not consider marriage or the preliminaries before she gets two or three years older”. In 1914 she passed the test to work as a teaching apprentice at her old school, the Cottage Lyceum. From 1915 to 1917, she worked as a teaching apprentice for third, fourth, and fifth graders. For the school year 1917-18, she began her first position as Klassenlehrerin (head teacher) for the second grade. She was invited to stay on with a regular four-year contract starting in autumn 1918. After experiencing multiple episodes of illness Anna Freud resigned her teaching post in 1920. This enabled her to pursue further her growing interest in her father’s work and writings. From 1918 to 1921 and from 1924 to 1929 she was in analysis with her father. In 1922 she presented her paper “Beating Fantasies and Daydreams” to the Vienna Psychoanalytical Society and became a member of the society. 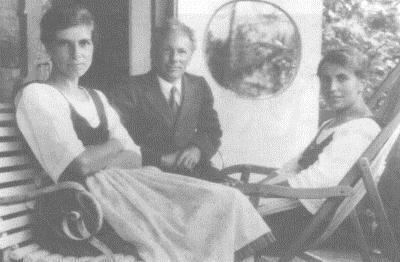 In 1923, she began her own psychoanalytical practice with children and by 1925 she was teaching at the Vienna Psychoanalytic Training Institute on the technique of child analysis. From 1925 until 1934, she was the Secretary of the International Psychoanalytical Association while she continued child analysis and contributed to seminars and conferences on the subject. In 1935, she became director of the Vienna Psychoanalytical Training Institute and the following year she published her influential study of the “ways and means by which the ego wards off depression, displeasure and anxiety”, The Ego and the Mechanisms of Defence. It became a founding work of ego psychology and established her reputation as a pioneering theoretician. Among the first children Anna Freud took into analysis were those of Dorothy Burlingham. In 1925 Burlingham, heiress to the Tiffany luxury jewelry retailer, had arrived in Vienna from New York with her four children and entered analysis first with Theodore Reik and then, with a view to training in child analysis, with Sigmund Freud himself. Anna and Dorothy soon developed what have been described as “intimate relations that closely resembled those of lesbians”, though Anna categorically denied the existence of a sexual relationship. After the Burlinghams moved into the same apartment block as the Freuds in 1929 Anna became, in effect, the children’s stepparent. In 1938, following the Anschluss in which Nazi Germany occupied Austria, Anna was taken to Gestapo headquarters in Vienna for questioning on the activities of the International Psychoanalytical Association. Unknown to her father, she and her brother Martin had obtained Veronal from Max Schur, the family doctor, in sufficient quantities to commit suicide if faced with torture or internment. However, she survived her interrogation ordeal and returned to the family home. After her father had reluctantly accepted the urgent need to leave Vienna, she set about organizing the complex immigration process for the family in liaison with Ernest Jones, the then President of the International Psychoanalytical Association, who secured the immigration permits that eventually led to the family establishing their new home in London at 20 Maresfield Gardens, Hampstead. 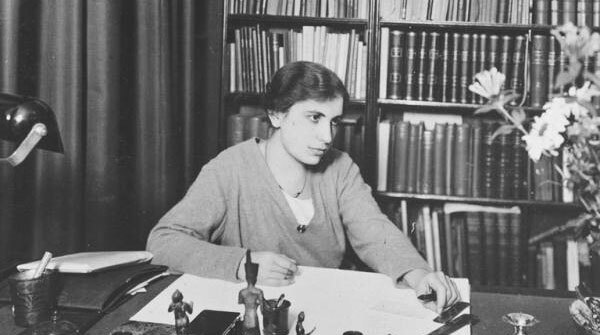 In 1941 Anna Freud and Burlingham collaborated in establishing the Hampstead War Nursery for children whose lives had been disrupted by the war. Premises were acquired in Hampstead, North London and in Essex to provide education and residential care with mothers encouraged to visit as often as practicable. Many for the staff were recruited from the exiled Austro-German diaspora. Lectures and seminars on psychoanalytic theory and practice were regular features of staff training. Freud and Burlingham went on to publish a series of observational studies on child development based on the work of the Nursery with a focus on the impact of stress on children and their capacity to find substitute affections among peers in the absence of their parents. The Bulldog Banks Home, run on similar lines to the Nursery, was established after the war for a group of children who had survived the concentration camps. Building on and developing their war-time work with children, Freud and Burlingham established the Hampstead Child Therapy Course and Clinic (now the Anna Freud National Centre for Children and Families) in 1952 as a center for therapy, training and research work. 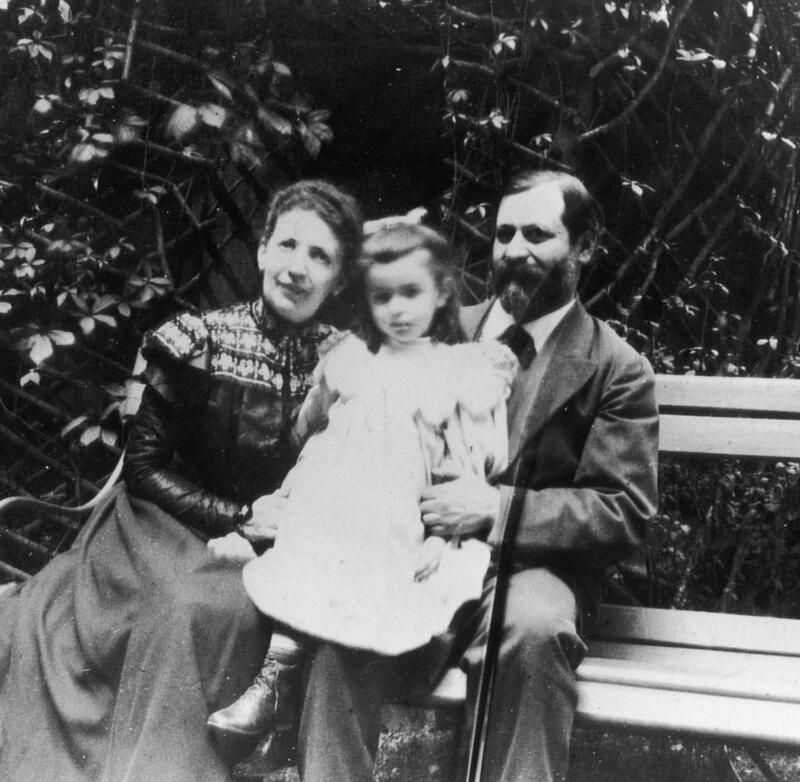 On her arrival in England Anna Freud began to give lectures on child analysis. At that time in London, the field of child analysis was largely the domain of Anna Freud and Melanie Klein, Anna’s theoretical and clinical rival. Anna’s arrival in London resulted in splitting the British psychoanalytic community into three schools: Freudian, Kleinian and Independent. The Kleinian approach differed from the Freudian in several methodological and theoretical techniques around infancy and object relationships. For example, the Freudian approach did not believe that children had a superego, and their therapist should be part of their transference. In contrast, Klein believed that children had a superego, and needed to be treated with the same techniques as adults. These differences had initially threatened the discipline of Anna’s Freudian techniques of child analysis in England, but by the end of World War II, the conflict was resolved through parallel acceptance for both schools. From the 1950s until the end of her life Freud traveled regularly to the United States to lecture, to teach and to visit friends. She was elected Vice-President of International Association of Psychoanalysts and Foreign Honorary Member of the American Academy of Arts and Sciences in 1959. During the 1970s she was concerned with the problems of emotionally deprived and socially disadvantaged children, and she studied deviations and delays in development. 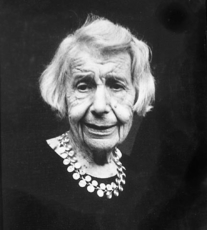 At Yale Law School, she taught seminars on crime and the family: this led to a transatlantic collaboration with Joseph Goldstein and Albert J. Solnit on children’s needs and the law, published in three volumes as Beyond the Best Interests of the Child (1973), Before the Best Interests of the Child (1979), and In the Best Interests of the Child (1986). Anna Freud died in London on 9th October 1982. She was cremated at Golders Green Crematorium and her ashes placed in a marble shelf next to her parents’ ancient Greek funeral urn. Her life-partner Dorothy Tiffany-Burlingham and several other members of the Freud family are also interred there. If you have read my post on Sigmund Freud – http://www.bookofdaystales.com/sigmund-freud/ — you will know that I have great respect for his originality of thought, and for some of his ideas that have survived the withering criticism of a century. You will also know that I am a severe critic of much of his work. Ditto for his daughter. Freud’s identification of certain psychological processes, especially projection, is ironic. A good case could be made for the entire corpus of Freudian theory being one gigantic, narcissistic projection of his own upbringing. Anna’s role throughout her career was to both expand and defend her father’s work especially as it came under increasing attack in the post-war era. She never strayed from a doctrinaire Freudian approach, although her work focused more on the ego and latency in children than on the whole range of psychosexual development. 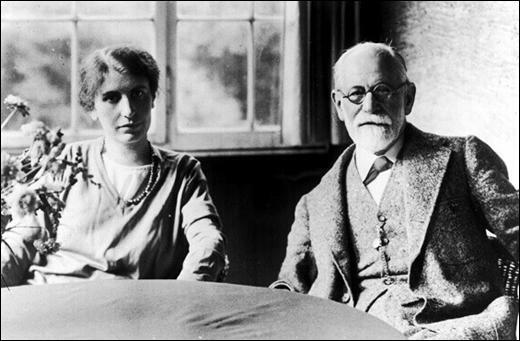 Both Sigmund and Anna Freud based their theory on self analysis, and in Anna’s case you have a depressed anorexic child with fantasies of being beaten, striving for the affections of a dominant father with her sister, and indifferent to a distant mother, who spent her adult life in a lesbian relationship (consummated or otherwise), and with no children of her own. Yes, I am sure that a balanced, healthy theoretical perspective will emerge from those experiences !!! One thing that sticks out for me concerning Anna’s care for children in difficult circumstances was her emphasis on letting them eat what they chose. I don’t know what the choices might have been, but one dish that is child friendly in Austria is Viennese Rindsuppe, a beef bone consommé usually with noodles or dumplings. It is not difficult to make, although it is time consuming. I’ll give you an instructive video although the process is simple: simmer meaty beef bones for several hours, then add soup vegetables (celery, carrot, onion, leek) and herbs, simmer for several more hours, strain and serve with noodles or dumplings. Sorry that the video is in German — it is easy to follow, anyway.